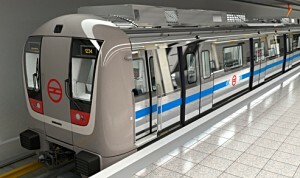 Delta showcased its state-of-the-art control room visualization solutions based on DLP™ technology at MetroRail India Summit 2012. Dedicated to innovation, energy efficiency, and environmental protection, Delta Group, the world’s leading manufacturer and provider of innovative display solutions for the professional market, showcased its latest line of Videowall solutions at MetroRail India Summit 2012. The two day summit was held at the Hotel Le Meridien Bengaluru, on the 23rd & 24th February 2012, and was attended by more than 100 delegates representing various stakeholders from the Metrorail sector across India. In the last four years, Delta has emerged as a renowned and reliable brand in the Indian control room visualization market, offering a complete range of display solutions for various growth sectors. Mr. Hemant Agarwal, Director, Delta Display Solutions, India, indicates, “As a global leader, Delta Electronics has attained considerable expertise in providing total solutions for our customers’ visual display needs for control room applications. The range of display solutions showcased at the event included state-of-the-art rear projection cube technology for mission-critical control room requirements. The range of video wall solutions included a LED-illuminated rear projection video-wall system powered by DLP™ technology, delivering unsurpassed image quality with incredible colour, depth, and contrast. These new solutions offer a higher level of reliability and a lower total cost of ownership. Delta Electronics has also designed a comprehensive IP-based Videowall product line with maximum efficiency and usability in mind. This technology allows easy installation and simplifies operations with high reliability and customization tools. This allows mission-critical collaborative decision making, real-time monitoring, and offers a viable solution to the control room industry. The growth in India’s urban cities is on a high trajectory and is highly promising. It will be tightly coupled with transport infrastructure development in India’s million-plus cities for the next ten years. 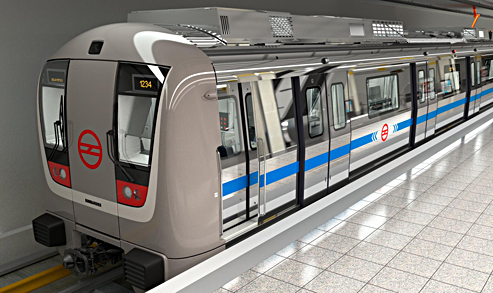 Delta believes India has ample opportunities in the modern mass rapid transit system space with companies looking for innovative technology solutions providing high reliability monitoring and control for seamless operations and management. With the widest range of visualization solutions in the Industry, Delta is strongly positioned to offer its innovation to the Indian market. Delta Group is the world’s leading provider of power management and thermal management solutions, as well as a major source for components, visual displays, industrial automation, networking products, and renewable energy solutions. Delta Group is focused on three main businesses: power electronics, energy management, and smart green life. Delta Group has sales offices worldwide and manufacturing plants in Taiwan, China, Thailand, Japan, Mexico, India, Brazil and Europe. As a global leader in power electronics, Delta’s mission is, “To provide innovative, clean and energy-efficient solutions for a better tomorrow.” Delta is committed to environmental protection and has implemented green, lead-free production and recycling and waste management programs for many years. Delta is a pioneer in developing visual displays including Video Walls, Data Walls, LED walls, digital signage displays and most advanced high-end video processing control systems. Delta’s control room display solutions with DLP Technology are installed in some of the most critical installations across the globe.